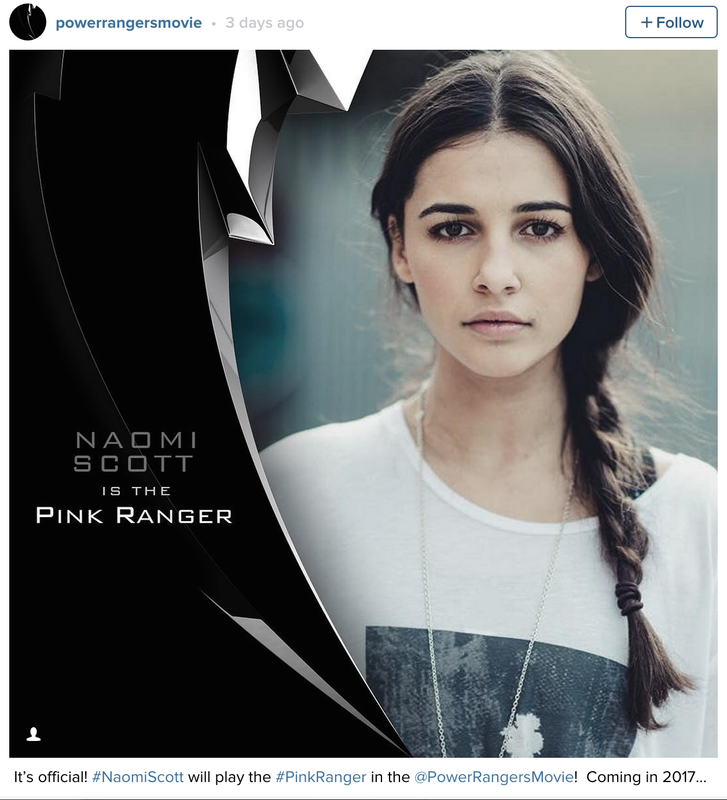 Following roles in The Martian and Chilean miners drama The 33, Naomi Scott has signed on to fight evil alien magic users as the Pink Ranger in the upcoming Power Rangers reboot movie planned for release in 2017. The production made the announcement on Instagram. The Pink Ranger was originally played by Amy Jo Johnson from 1993-1996. The film, originally slated for summer 2016 but now looking at a January 2017 release, updates the television series, about a group of ordinary high school kids infused with extraterrestrial powers to become science fictional martial arts superheroes, who must harness their powers as a team to save the world. Previous reports are that it will have some connection to the long-running television series, though how much remains unknown. Based in part on the Japanese tv show Super Sentai, the original series began in 1993 as Mighty Morphin Power Rangers, referring to the main characters’ transformation into their superheroic incarnations. Various title changes followed as the show adjusted its premise and setting, most recently this year’s Power Rangers Dino Charge, which began airing on Nickelodeon February 7, 2015. Filming is set to begin January 18, 2016 in Vancouver. This entry was posted in Film, Links, News, Photo, TV and tagged Amy Jo Johnson, casting, Film, Hollywood, Indian, Japan, Japanese, Mighty Morphin Power Rangers, Naomi Scott, Pink Ranger, Power Rangers, Power Rangers Dino Charge, Saban, Super Sentai. Bookmark the permalink.